Aluminum is the second least expensive siding material after vinyl. You can expect to spend between $5 and $9 per sq. ft. to have aluminum siding installed. This means that the average home will cost from $7,750 to $13,800 to have it professionally done. It will cost more if the contractor has to remove and dispose of the old siding. You can expect to pay between 50 cents and $1 per square foot to have the old siding removed. The price depends on the complexity of your home’s architecture such as whether or not it is a two-story. 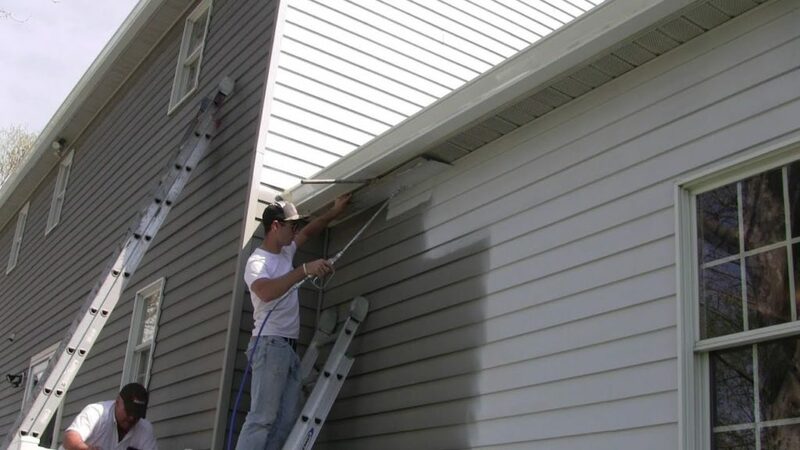 If you have chosen heavy-gauge aluminum and your old siding is relatively smooth your contractor may be able to install your new siding over the old material. This, and the fact that aluminum is lightweight and easy to work with, may save you quite a bit of money. The United States Census keeps records on home sizes across the country. According to their figures, the average home in the U.S. has 2,250 square feet of floor space. This house is a two-story, with an outside area of 1500 sq. ft. that will need siding for protection. We recommend using 9’ for each story when doing calculations, and to include triangles under the eaves and gables. Multiply the length times the width of each wall, including the windows. The windows won’t be covered, but the square footage will account for waste in the siding and a competent installer will use the scrap pieces when appropriate. You may even be able to return some of the sections. To do a detailed calculation of your home’s exterior square footage, check out our estimation method. Using the average size of a home above, we will calculate the cost of covering 1500 sq. ft. with siding. 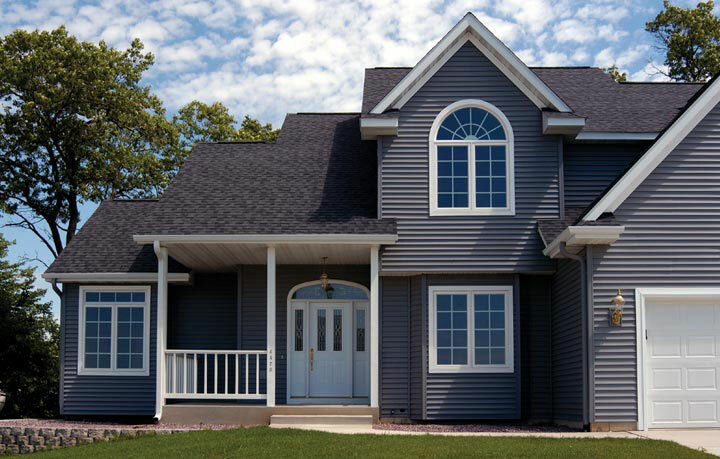 A certified, bonded, and insured siding contractor will spend between 55 to 60 hours for every 1000 square feet. That means you can expect a house of this size to be under construction for 2 weeks. This is just an example, and should not be used as a bid for your own personal house or any other real project. A “square” is the term used to describe 100 sq. ft. of siding. A square of aluminum siding averages $220. If you select heavy-gauge metal you can expect to pay $500 per square for the material. Added to this will be the price of installation and removal of the old siding. Metal siding is relatively low-maintenance. For years after installation all you have to do is clean it. It doesn’t rust or corrode and insects have no interest in metal. Once the material has been in place for several years, you may notice that the enamel has started to fade. At this point, you will need to have it prepped and repainted. This typically costs between $3 and $15 per sq. ft. – again based on the complexity of your home’s architecture. Another cost of maintenance may arise if the siding is damaged in some way. A panel that is damaged by a falling tree branch or a stone from the road will have to be replaced. Aluminum siding is a bit more expensive than vinyl siding. The cost to have aluminum siding installed by a professional ranges from $4 to $9 per sq. ft.
Aluminum will cost a little more than vinyl siding. Compare vinyl installation expenses per square foot of $3 – $7 vs. metal which costs $4 – $9. However, metal is about 80% less expensive to manufacture, and is completely recyclable. The cost of putting siding on your home is influenced by several factors. The size of your home, the complexity of its architecture, your home’s location, the gauge of metal you select, and whether or not you order extra panels for future repairs. Aluminum is considered a commodity, just as petroleum, coffee, steel, and wood are commodities. This means that it is a raw material that is made into something else. No matter who produces the commodity, it is the same grade. While many metals are used in construction, aluminum is the second most commonly used. The price of this metal fluctuates more than the market for steel. In fact, the prices on this metal over one six-month time period saw it go for as little as 65 cents to 76 cents per pound. The current market price of commodities does not necessarily affect the immediate price you pay. The supplier adds his own price-increases to account for shipping, clerical, dock work, and other expenses. As the market prices fluctuate, the effect is delayed at the supplier’s. If a supplier purchases aluminum siding when the cost is high, he has to sell it for that price even if the cost has dropped since the order is filled. The thickness of the panels will, naturally, affect the cost. Products with the same profile but with a difference in gauge from 26 to 29 will have a 15% cost differential. In general, thicker gauges are stronger and more durable, but you also need to keep your own priorities in mind. Consider the type of building you are covering, your location, and whether or not the particular structure needs this kind of quality. If you are good at DIY, you can probably install aluminum siding yourself. Your main cost will the time off from your job. You won’t need much in the way of tools, except for snips. Some people plan to hire a handyman. However, keep in mind that unprofessional installation may result in a poor job which will look bad and may not be as durable as you want. If your supplier includes the installation expense as part of the package, the installation price will probably be a little higher than if you hired an experienced siding contractor. It is probably obvious that a rectangular home is easier, and therefore cheaper, to side than a multi-story home with complex angles. Every corner takes an extra measurement, time, and fitting. Ladders are required at the very least, and for two-story homes, scaffolding may need to be erected. Eaves and turrets also add to the complexity of the job. This can affect the cost of siding installation. Aluminum siding is a low-maintenance product that will protect your home and make it more attractive. It is fireproof, immune to termites and carpenter ants and will last upwards of 40 years as long as it is professionally installed and maintained properly. Aluminum siding requires very little upkeep, needing only to be hosed off once a year or so. If the surface is stained, you can clean it with a mild detergent or non-abrasive cleaner. As the years pass, the enamel may develop a chalky appearance. The color will also fade over time, doing so more quickly if you live in arid regions with bright, unrelenting sun. 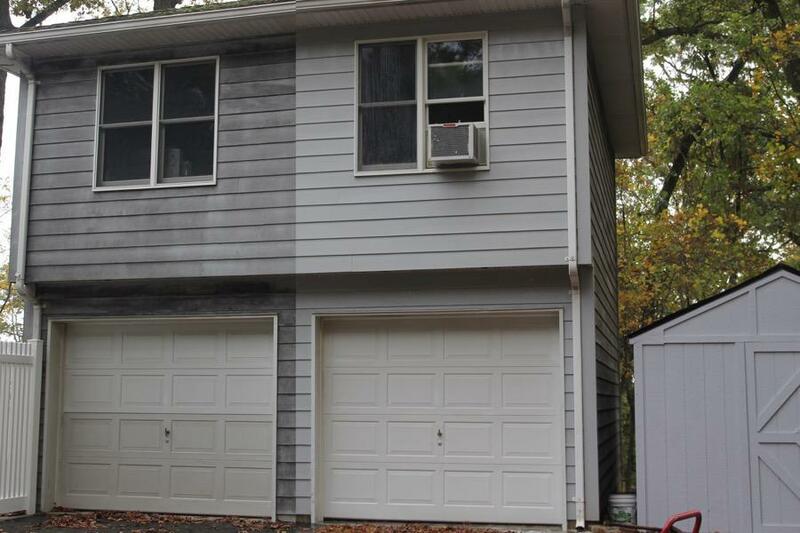 Once the color has become shabby looking, you will need to start painting the siding. If you use manufacturer-recommended paint specifically for aluminum siding, and prep the surface properly, you won’t have to paint more often than 12 to 15 years. Two-story homes. The cleaners will need more equipment, and will have to move more slowly not only for safety reasons, but to move equipment with them. The same number of square feet on a single-story home will cost less for this reason. The differential for single and two-story homes is about 35%. Design complexities can add as much as 10% to the cost of cleaning. Environmentally friendly cleaning materials cost about 10% more. Extremely dirty, neglected siding will cost 10% to 25% more. Do not consider an estimate from any contractor who has not done an onsite inspection. Most of the time, estimates are free and yes, you will probably have to listen to a sales pitch. You should always get 3 or 4 estimates and learn the history of each siding contractor. Find out if the crew is experienced in aluminum siding installation. It also helps to let them know that you are comparison shopping. Each company has different expenses and overhead. Their estimates will differ – this is to be expected. If one estimate is significantly higher or lower than the competition, find out what service is being added or left out. One contractor’s estimate may be $3000 higher than anyone else’s, but he may have included removal and disposal of the old siding. Contractors often give discounts for new contracts taken in the fall and winter. This is construction companies’ down-time, and they may be looking for work. Be sure to budget between 7% and 15% more money for the job than the estimate. Even experienced contractors cannot see under the existing siding to determine whether or not repairs need to be made to the substrate. Also, this will help cover extra complexity that was missed in the original estimate. Shop at different home improvement stores for your siding. You can get them to compete for your business, and eventually save about 20% on your purchase of siding. You may have neighbors who are also ready to install new siding on their houses. If you can get them to go in with you, you can get better prices on bulk purchases of siding, and the contractor will probably give you a discount, too. You can also cut the expense of new siding by only covering the front and sides of the house. What do you think of aluminum siding? Have you received a quote? Tell us about your experiences in the comment section.